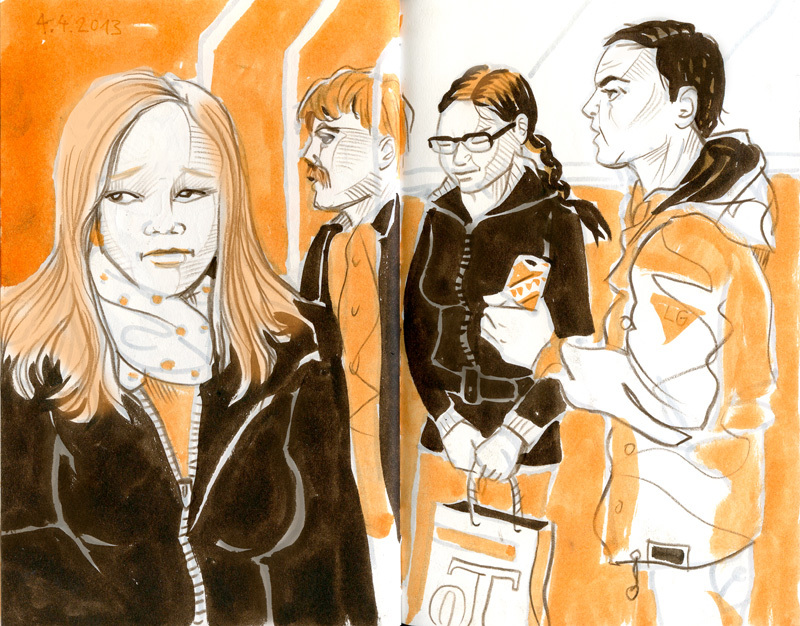 Once again sketching in the bus No 32 along Zurichs Langstrasse. Spread showing my sketch on my morning ride to work (on the left) and in the evening (on the right) back home. Using brown pen in addition to my pentel brush pencils – to allow a bit more details. Ich seh deine "orange-schwarzen" Zeichnungen einfach sehr gern.